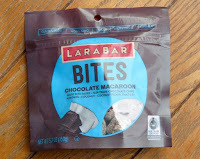 Today's Chocolate Macaroon Larabar Bites were distributed by Small Planet Foods, Inc. (Denver, CO). 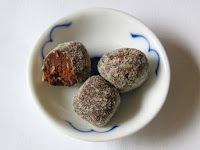 These bites were "made with dates, fair trade chocolate chips, almonds, coconut, coconut flour and that's it!" 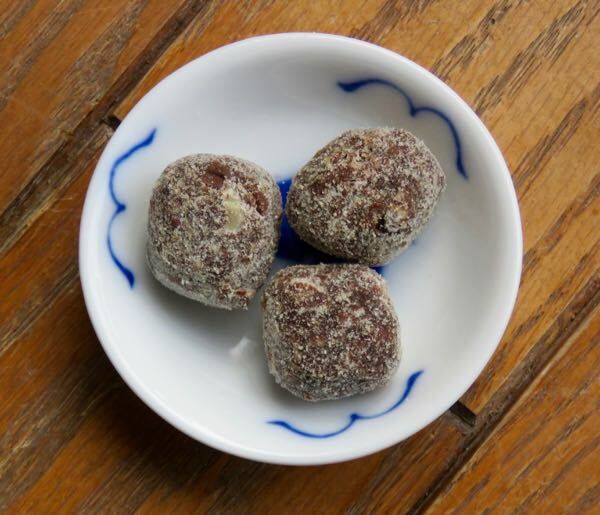 These soft, chewy rounds, with dried coconut and rolled in coconut flour, had an authentic, more coconut-forward aroma and flavor than previous chocolate items featured this week. Dates gave the bites form, sweetness and dried fruit flavor and texture. And the chocolate chips yielded sweetness and very subtle, rich chocolate flavor. 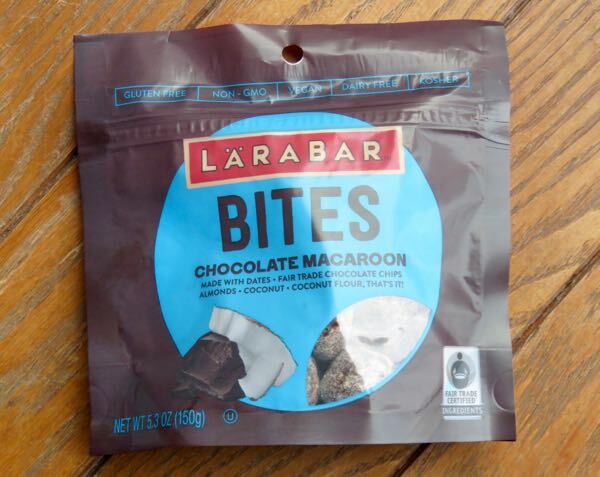 These Larabar Bites were made with fair trade ingredients and were "Gluten Free, Non-GMO, Vegan, Dairy Free (and) Kosher."